Raleigh Real Estate, Raleigh Realtors, Raleigh , NC Real Estate Companies. Whether you’re a first time investor or a seasoned veteran, Clark Properties can help you buy houses intelligently in the Raleigh market, and you can benefit from our years of experience and successes. We can help you buy foreclosures, bank owned, listed, new, expired or for sale by owner. We can give you the information you need to buy good houses and can manage them for you. Clark Properties is your best choice for buying properties to lease out. We know the rental market better than anyone. Clark Properties has leased and managed homes in the triangle since 1999. We have a firm grasp on the market and team up the buyer with the right broker agent. We are ahead of the curve so you do not have to spend your time keeping up with the onerous tenant codes. The law has to be our foundation, and we know it well for both the property management side of the business as well as the investment side of the business. We can share what we know and keep you out of trouble. 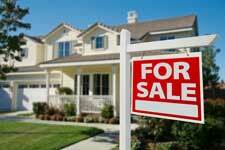 Having trouble selling your home? Clark Properties can help owners sell their homes through lease purchase or lease options. To have a good experience in real estate investing you must “start with the right property”. There are many things to consider, but the three most important are – you guessed it – location, location, location! Our experience leasing homes translates into experience finding the right homes to invest in. Buying investment properties through Clark Properties puts you in a position to take advantage of a discount fee structure from the management side of our business. We will reduce fees on the leasing and management if you acquire the property through our investment department. It always pays to do business with us. Occasionally, new investors are timid about buying their first rental property and need some help getting started. We have developed a program to team up an investor buyer with the right broker agent to buy rental houses. Clark Properties maintains rental comparables for the Triangle. We can track every city and county in our market for rental rates on houses, condos and town homes and provide that research for our clients before they buy a home. “Crafting the deal” to meet the needs of the individual investor is what separates us from other real estate firms. We know how to structure a transaction different ways depending on the specific needs of the investor. Every buyer is different, and how they structure the deal depends on many factors. All investors are not the same, yet many traditional agents do not understand the importance of fitting the buyer to the property for the market to get the right outcome. We understand these issues and can help you think it through. Holding title to real estate in your personal name has some serious drawbacks. After buying an investment property, you should immediately consider deeding it to a Title Holding Trust or a Limited Liability Company so no one can identify “you” as the owner.